Is the rhetoric returning to the big guns? 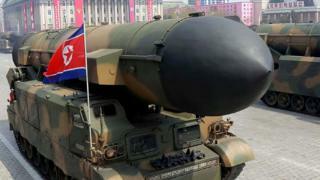 North Korea has lashed out at the US for continuing to call for the enforcement of sanctions. The foreign ministry said there would be no moves towards denuclearisation if the US followed an “outdated script”. Mr Trump and North Korean leader Kim Jong-un agreed in June to work towards denuclearising the Korean peninsula. But the details of that process remain vague – North Korea did not commit to unilaterally give up its nuclear weapons and the UN says its nuclear programme is continuing. The US has insisted that diplomatic and economic pressure must be maintained on the North until it stops all nuclear development. 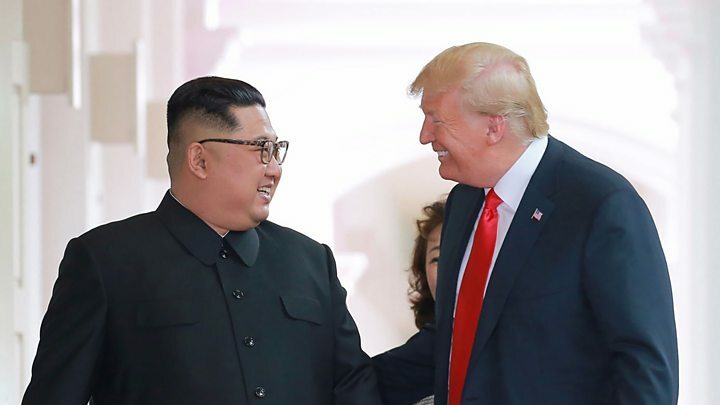 It is the latest criticism from North Korea since the historic meeting in Singapore, which had appeared to be the start of a thawing in the relationship between the old enemies. The North’s foreign ministry also accused US officials of “going against the intention of President Trump” by “making baseless allegations against us and making desperate attempts at intensifying the international sanctions and pressure”. National security adviser John Bolton earlier this week said North Korea had not begun the progress, while US envoy to the UN, Nikki Haley, said Washington was “not willing to wait for too long” for the North. According to Iranian media, Mr Ri said his country would seek to retain its nuclear skills for when the US would revert to a more aggressive position against Pyongyang. “Since we know that the US will never give up its hostile policy toward us, we will hold onto our nuclear knowledge,” he was quoted by local media.